Summary: The USCCA is the best alternative to any type of concealed carry insurance or self defense insurance, and once you sign up for membership you are instantly covered. However, once you join you are bombarded with emails and the limits for criminal cases could be a bit larger, but I am just nitpicking at this point. I want to go over all of the additional coverage options and benefits that are included with your membership. What Does The USCCA Membership Cover? What Does The USCCA Not Cover? How Much Does A USCCA Membership Cost? Unlike most states, the state of GA requires a Concealed Carry Permit to carry concealed or unconcealed. So, when I became licensed I personally chose to carry my Glock 19 unconcealed. You can see how my membership packet looked on the right. People always ask if I am a police officer or say things like "Your'e a true American." Our membership cards with member number removed. However, I don't wear it for any reason other than to protect myself and my family. What will I do, if I actually have to ever shoot someone in self-defense? Will I go to jail?, Will I have to go to trail? Who will be my attorney? Will this financially ruin me? Why should I be punished for protecting myself? Because of these concerns, I decided to get my USCCA membership. In this review today I will show you how the enrollment process works, and why getting a USCCA membership is the best way to protect yourself after a self-defense situation. The USCCA (United States Concealed Carry Association) is a membership organization and they provide self-defense education, training and legal protection. The USCCA was started by Tim Schmidt in 2003 as a community and a small publication by the name of Concealed Carry Magazine. Concealed Carry Magazine eventually became The United States Concealed Carry Association and now they provide self-defense education, training and legal protection to their members. Even though they aren't an Insurance company and the membership is NOT insurance, the USCCA is still backed by an Insurance Company Called Shield Indemnity. 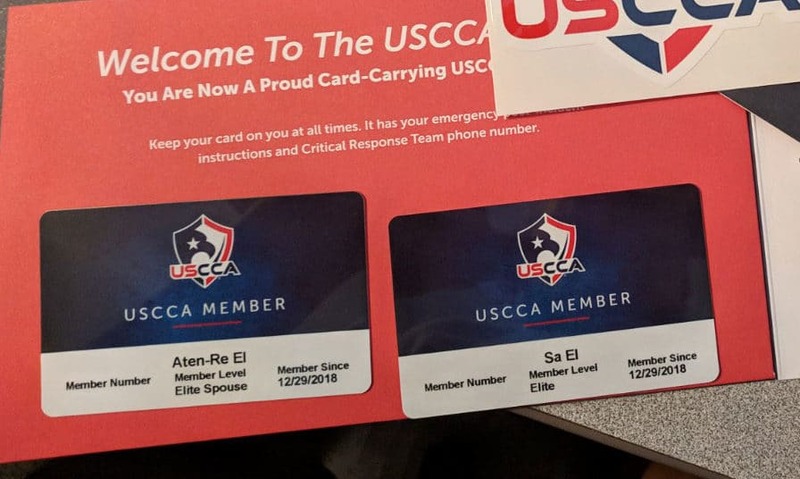 If something were to happen to USCCA, your membership would still be perfectly fine. USCCA has an A+ rating from the BBB which is an important factor because when it comes to membership programs you need to know that you can rely on a company to pay their claims. What makes the United States Concealed Carry Association so different is that they are changing the way that Americans view gun ownership and they are focusing on creating responsible gun owners. The most unique benefit about the USCCA is that they aren't just about about Legal Protection. They put a strong focus into training and teaching gun owners things like how to de-escalate a situation, the laws in your specific state and things like their concealed carry reciprocity state map. With their membership plan you can get covered in a matter of minutes and have instant benefits from day one. Along with covering your costs up-front, the USCCA will also cover you for any type of legal weapon, not just guns. This puts them ahead of almost anyone in the market that is offering any type of legal protection for concealed weapons. We talk more about Up-front payments and type of legal weapons that are covered below. The USCCA started as a community and a small magazine company that was focused on educating and creating responsible gun owners. The USCCA created the revolutionary Self-Defense SHIELD. The Self-Defense SHIELD is a comprehensive financial and legal protection benefit which provides support to members in the days, weeks, and months following a self-defense incident. The program was launched in 2012, in an effort to provide comfort and aid to law-abiding gun owners who are forced to face all-new battles in criminal, and often civil courtrooms. The best thing about this protection is that the benefits are based on a per incident limit, which means the cap is only per incident not a total cap. So, if you find yourself in the unfortunate space of needing the protective benefits of the USCCA Self-Defense SHIELD more than once, you can rest assured that the full allotment of resources will again be made available. The USCCA really focuses on you being a responsibly armed citizen. They make a good point to state that being armed doesn’t stop with your Constitutional right to bear arms. The USCCA believes that the decision to carry a firearm, or even to simply keep a gun for home defense, is where your real responsibility as a gun owner begins. They are an industry leader in gun gun safety, situational awareness and self-defense education. They also focus on topics regarding the legality, current events and culture of the concealed carry lifestyle. Getting educated is one of the best reasons to become a USCCA Member. There is nothing better than Training when it comes to being prepared and dealing with a concealed carry lifestyle or a self defense incident. While learning how to shoot a gun is an important aspect of handling a firearm, USCCA training takes it a step above with defensive firearms training based on real self-defense or home-defense scenarios. This includes live training broadcasts, hours of instructional videos, weekly training videos and access to a nationwide network of USCCA Certified Instructors. When it comes to benefits, the USCCA really doesn't hold back, they offer more benefits than any concealed carry insurance policy or legal protection plan. Anything is better than nothing when it comes to personal protection, so at the least, buy what you can afford. The Gold Membership plan is going to be the entry level plan and is best for maybe young family's who are budget conscious. The Gold Plan is packed with a ton of value and can stand up against the best offerings of other companies. The Platinum Membership plan is going to give you the best of both worlds in terms of coverage and premium, the USCCA shows that this is the most popular membership plan. The Elite Membership plan is going to be the most expensive option, but has the most coverage available. If you decide to go with the Elite Membership plan you are going to get the maximum amount of benefits all around. I always suggest going with the maximum amount of coverage if you can afford it. GET YOUR SELF-DEFENSE SHIELD TODAY! The above list shouldn't be that shocking, most of the above things are covered by other types of insurance like your renters insurance or home insurance. It's funny, I had planned on doing a reveal and taking pictures of everything that came with the kit. However, this video does a much better job at showing everything that comes in the mail when you first join. I was super happy to receive my welcome kit and the basic information in the kit has already educated me on how to handle a Self Defense Incident when it comes to the police. GET YOUR USCCA MEMBERSHIP TODAY! With any situation, before you do anything, you are instructed to first call 911, then call the USCCA. Immediately upon notifying the USCCA of your self-defense incident, you'll be connected with a USCCA Critical Response Team Manager. Your Critical Response Team Manager, who will be available to you any time of day, will be your direct point of contact for the minutes, days, weeks, and months following your incident. Everyone you will encounter is highly trained to handle these specific types of stressful situations. Calling in regards to a self defense incident is basically the equivalent of filing a claim. The commitment from USCCA is amazing and "Your USCCA Membership is 100% risk-free. The USCCA is offering a 365-day, money-back guarantee. Simply call the U.S. Concealed Carry Association Team and you’ll receive a prompt and courteous refund, no questions asked. 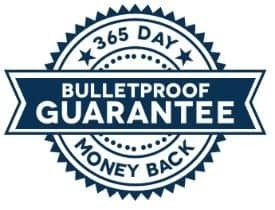 I don't know of any place that is offering a 365 day return policy, they really believe in their product and personally I think everyone that is carrying a weapon needs coverage like this. No other USCCA Review is as long as mine; however, I wanted to make sure that I gave you as much detail as possible. If you have been holding off on buying concealed carry insurance or self defense legal protection for any reason, I say give the USCCA a chance. You have nothing to lose, the USCCA are so confident in their product they actually give you a 365 guarantee. You get a whole year to cancel for a full return if you don't think it is worth your time. The USCCA is changing the face of responsible gun ownership and concealed carry throughout the nation. Just click on the button bellow to join. GET YOUR USCCA MEMBERSHIP NOW!